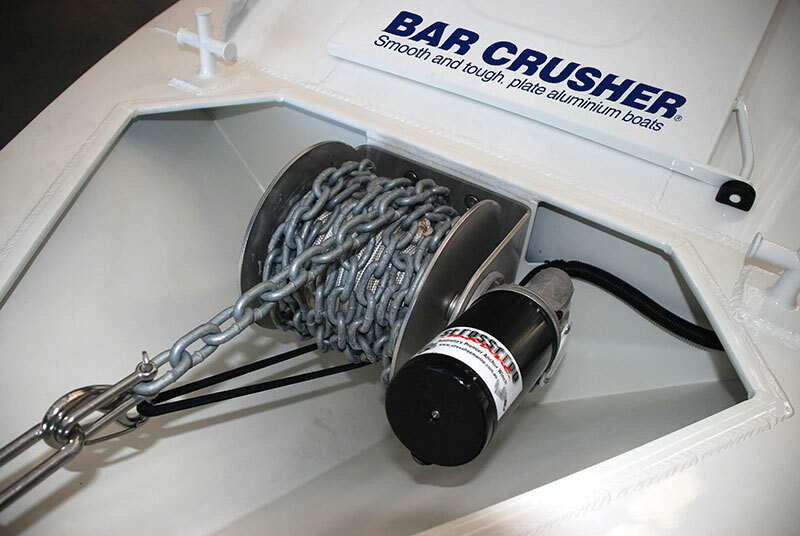 Bar Crusher is now manufacturing its boats with anchor wells designed to fit the popular Stress Free Anchor Winch. The reel-style winch is beautifully engineered and has been specified in Bar Crusher’s optional accessories range after extensive testing over the past three years. Bar Crusher director Peter Cleland said a winch was an essential item for anglers who anchored to fish. “No more straining your back to pull up the anchor, just flick the switch and up it comes… it’s fantastic if you like to actively move around and fish different spots,” Mr Cleland said. Every new Bar Crusher boat now leaves the factory with the anchor well set up for the winch. The winches can be fitted at the time of manufacture or can be retrofitted at the dealership.